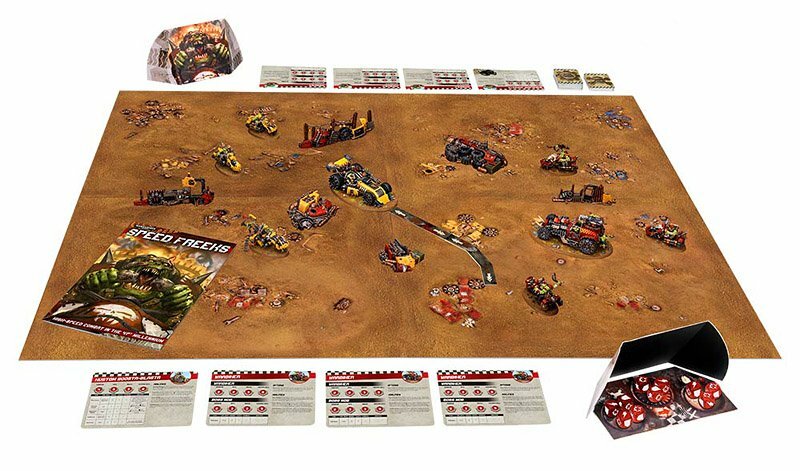 Speed Freeks is another new boxed game coming out in October Orktober and everyone is super pumped about the models. I am too! I’m glad to see the Orks get some love – many of my favorite battles have been against the green tide and it’s always a brutal and bloody affair. That said, there is part of me that is actually really curious about the GAME Speed Freeks. 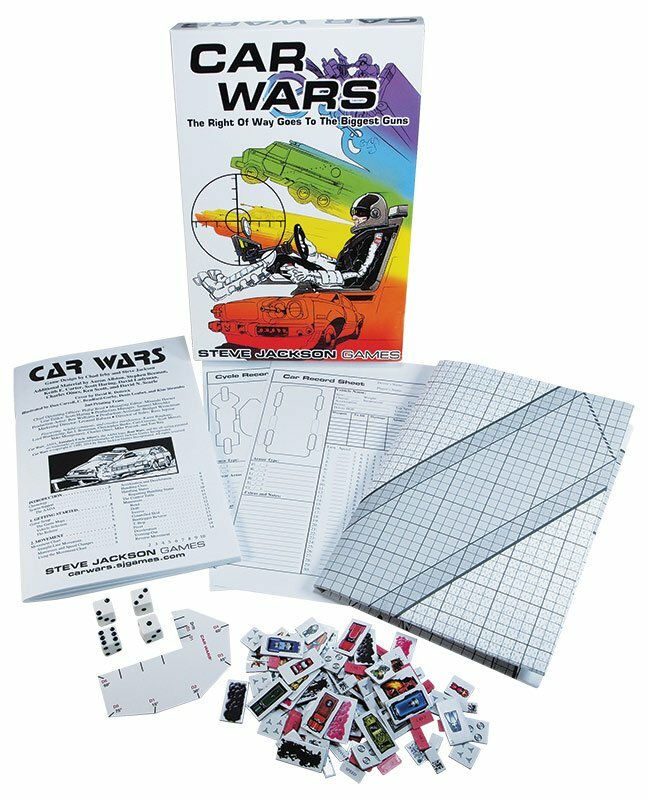 Car Wars was an early hit from Steve Jackson Games. It’s been re-released but the classic version of the game was released in 1980. 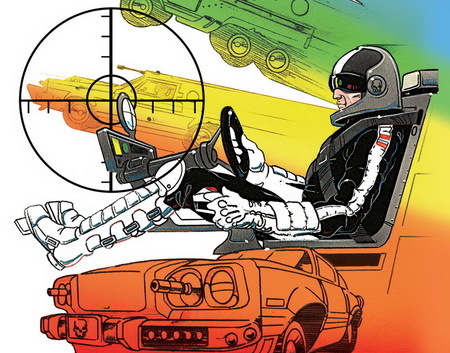 It basically put players in the driver seat of custom death machines (cars, bikes or even semi-trucks) and they could battle it out to cross the finish line. It was a pretty simple card-stock game but the core game play was really solid. 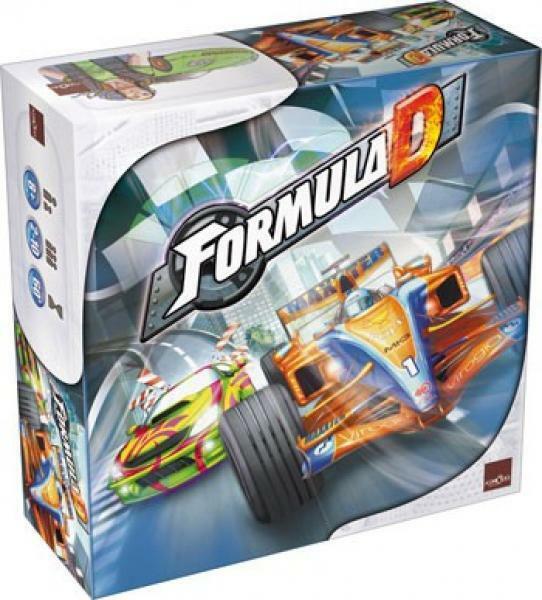 Formula D is a board game that is a bit more of “classic” racing game in the sense that you’re not actively shooting at the other drivers. It’s really a game about managing your speed and planning ahead to get the best results from your car. The core game just uses F1 Cars, but there are rules for customizing your ride with nitro boosts and other dirty tricks. Again, this game is a bit more structured and the track is well… massive. It also has some cool ideas like using your opponent’s slip stream to gain some speed. Or shifting your car to use a particular die for your movement. It still has rules for skidding and losing control as well. 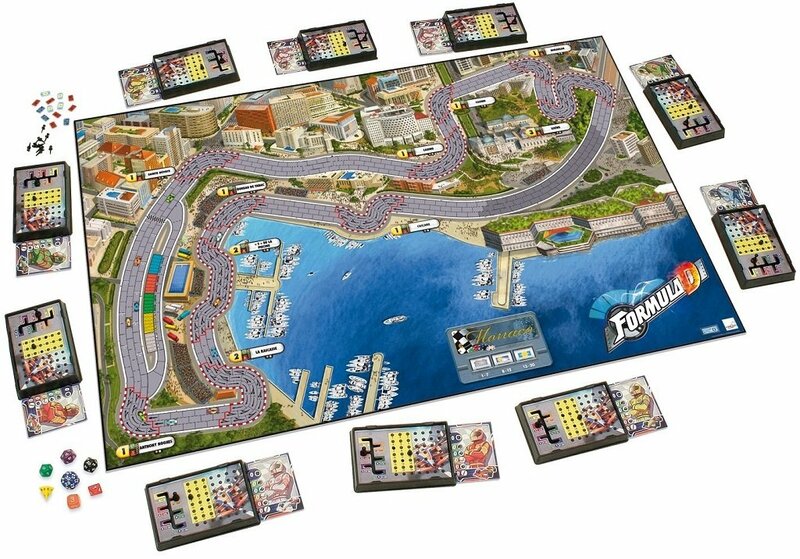 As a board game, it does represent racing fairly well. 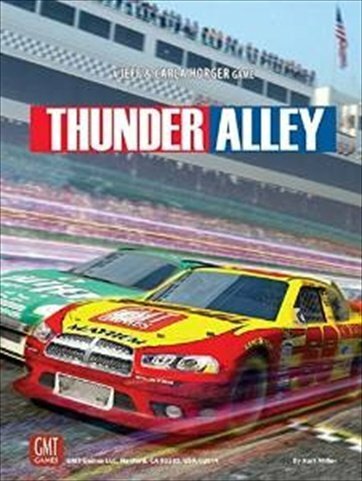 Thunder Alley is a game about Stock Car racing. I’m including it as an example because it does something different that the other two examples. In it, you actually control a TEAM of cars. You’ve got to make them work together so you can win. Drafting, positioning, strategy, dealing with penalties – all of that comes into play. It’s a racing game that brings you out of the driver seat and puts you in control of the field. There are actually a TON of other racing games out there – but those are the ones that came to mind for me. Will Speed Freeks play like one of these examples? I think it’s going to be less focused on making it across the finish line fastest and more focused on surviving the drive. At the same time, I’m very curious about that movement template and the extra dice hidden behind the player screens. It does seem like this game will have some of the aspects of the games above. The vehicle combat of Car Wars, the different speeds/maneuvers of Formula D, and the team work of Thunder Alley. Either that or this game is just going to devolve into blasting the crap out of each other with more dakka! I’m okay with that, too. 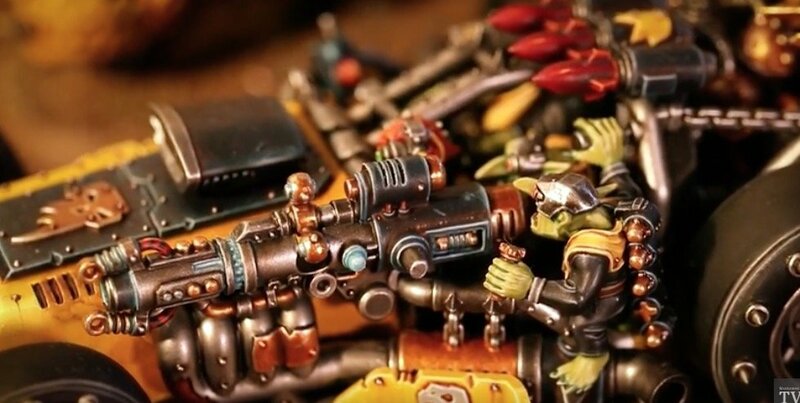 What do you think – will Speed Freeks be a “Real Game” or are you just going to grab it and use the models for Orks? Why not both! ?